Well, actually the Republic of India owes its very existence to social activists in maidans. I was in college, in Delhi, when the Jayaprakash Narayan movement swept the country. Today the government has sown another such movement: one can only hope that it will not lead to a similar outcome. ‘Shehla Masood, a Madhya Pradesh based civil rights and environmental rights activist was was shot dead by an unidentified person in front of her residence in Koh-e-Fiza locality in Bhopal around 11 AM on 16th August, 2011. ‘She was active to save the watershed of the Panna Tiger Reserve and the Shyamri River, one of the cleanest in the country from Rio Tinto’s mining activity along with other activists. ‘The mining block is inside a forest which is the northernmost tip of the best corridor of teak forests south of the Gangetic plain. It is an established law that mining is non-forestry activity. There is an immediate need for a probe to determine who allowed the mining to take place in such an ecologically fragile area. ‘The Bunder mine project, near the city of Chhatarpur in Madhya Pradesh, about 500 kilometres south-east of Delhi, is likely to be one of the largest diamond reserves in the world. It is estimated that there is a ”inferred resource” of 27.4 million carats, a diamonds resource seven times richer than the Panna mine, country’s only working diamond mine. 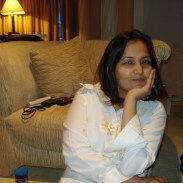 At the end of the letter there was this picture of Shehla Masood.